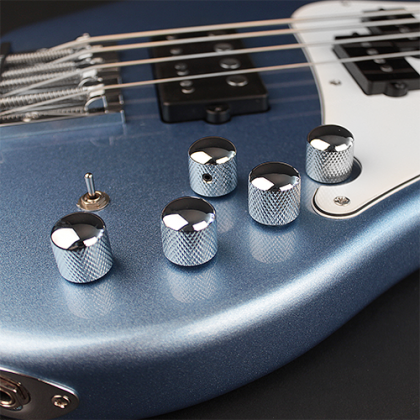 Developed to provide the widest range of great classic sounds in one bass, the GB74 Gig incorporates the sounds of the humbucker, J-style single-coil and P-style split-coil to offer the working musician the ultimate in sonic versatility. The Alder body provides a deep, big and warm acoustic character that sits perfectly in the mix without interfering with the frequencies of other instruments in ensemble playing. The Multitone bridge humbucker is a special design pickup that combines the sounds of a humbucker with a J-style single-coil pickup. 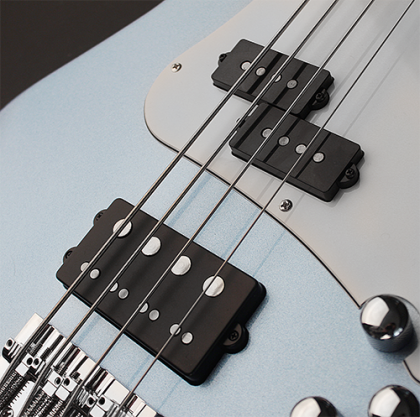 The 3-way toggle switch for this humbucker allows the players to access the inner or outside coils or both to get the best of both worlds in one great sounding bass humbucker. The VTB-P is a traditional split P-style single-coil with a vintage-flavored tone. 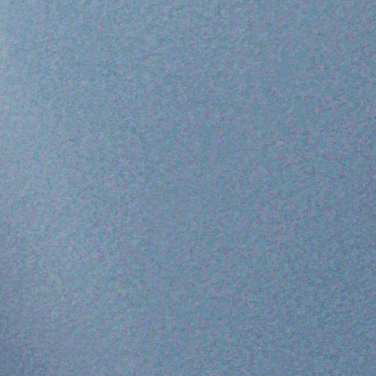 Use separately or mix both to get new sounds to expand the tonal palette. 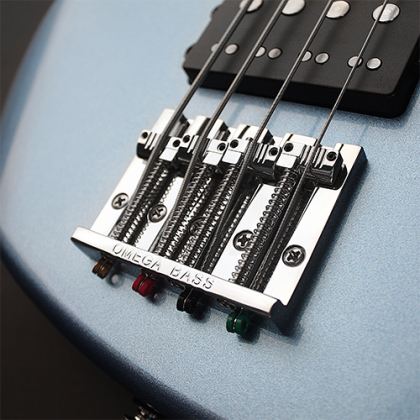 The Omega® bridge, an important sonic enhancement made from high-density die-cast Zinc that’s rock solid, yet fully adjustable. 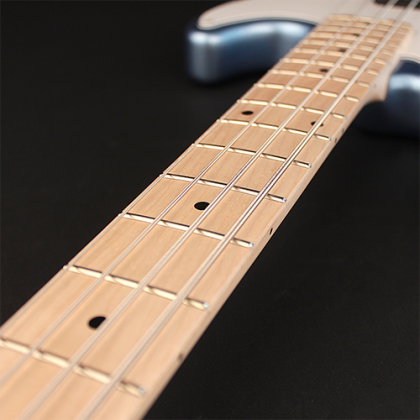 2.25” string spacing and base footprint 3 7/32" * 2 15/32". 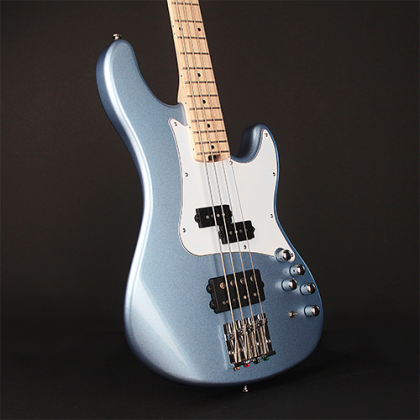 The combination of a specially-designed humbucker in the bridge position and the P-style split pickup in the neck position with custom wiring provide a wide plethora of superb bass sounds and unmatched versatility. 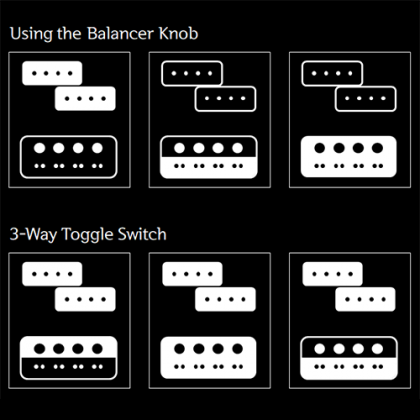 The Balancer knob operates P-style split humbucker alone, the J-style single-coil, and the full humbucker mode which combines the humbucker coil with the J-style single-coil in one pickup. Using the 3-way toggle for the bridge pickup to combine the three different sounds of the pickup with the neck P-style split pickup. 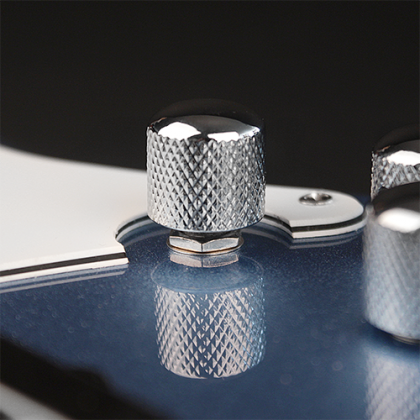 The push-pull active/passive conversion knob gives the versatile sounding option depending on the player's voicing taste. 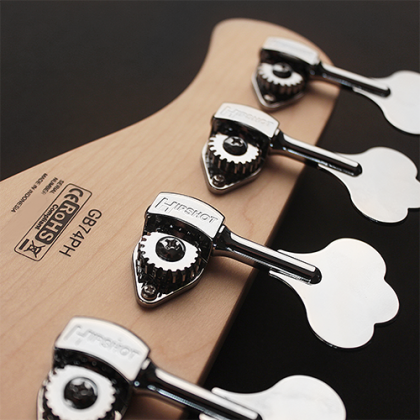 Addressing the weight of the headstock that can cause the bass to be neck heavy, the Hipshot® Ultralite tuners greatly reduce the weight while offering the superb level of tuning precision and stability. The Maple fingerboard provides power and stability as well as contributing a warm, beefy and punchy tone with a strong upper midrange. Dense and rigid yet with just the right amount of tactile flexibility, it responds sensitively to your picking attack and slapping techniques with plenty of articulation and power. The spoke nut hotrod truss rod ensures smooth and precise setting of the neck bow. 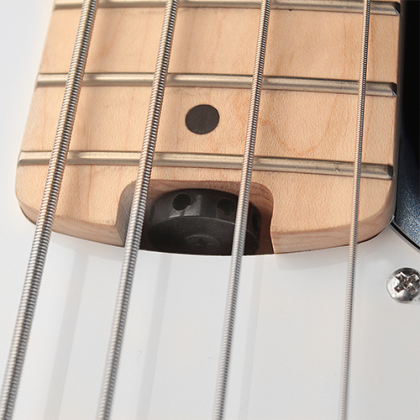 This truss rod adjustment feature allows the player to dial in the exact amount of neck bow depending the player’s technique and playing style with convenient access.